Raijeli [Rachel] is a 13 year old girl. Raijeli's family has broken down and she is now cared for by an auntie. 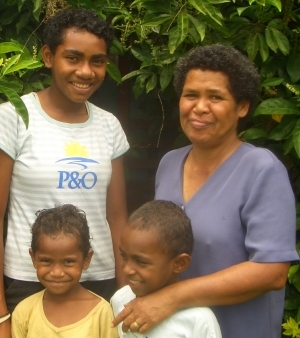 With 4 children in the extended family to support and very little income, her aunt struggles to pay fees and provide her girls with basic school requirements. 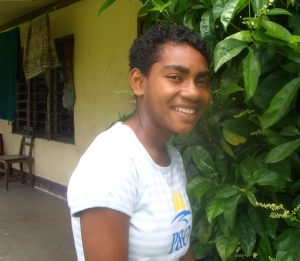 Raijeli enjoys attending school and her favourite subjects are English and Maths. She travels to school each day on foot. When she is not at school Raijeli loves to play netball and to meet new people. When she grows up, Raijeli would love to be a Doctor. Raijeli is a very bright student and I support her application for sponsorship.